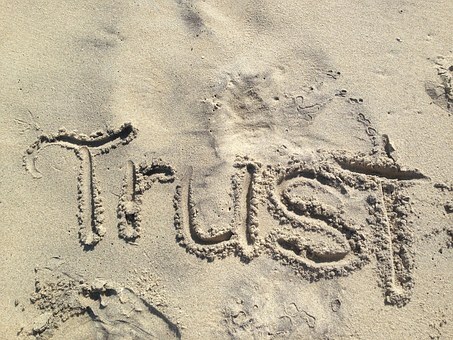 I had occasion to think about what “Trust” really meant yesterday. I am working in Russia and it has some significant cultural differences to what I am used to in the UK. We spend a lot of time talking about building trust, as it is important and fundamental in the coaching arena. I experienced what I perceived to be, two totally different levels of trust. Firstly in Russia you cannot just pick up your suitcase at the baggage carousel in the airport without having your luggage tag cross checked against the one on your boarding card. Although this is now a bit more relaxed at the major hubs, it is still evident in the regional airports. This has always struck me as rather odd, and different to what I expect in my own culture. The assumption being that there must be a total lack of trust around bag theft. Then however, I saw the opposite end of the scale. I was taking a taxi from the international airport to downtown Moscow. The organising and payment systems are more sophisticated than when I was last here five years ago. They use tablets book you in, send automated texts on progress, and take payment. Quite often the payment systems struggle to take my name (with a hyphen) on the Russian keyboard, so they ask me to enter it. On this occasion, the taxi driver, just handed me the tablet, so I could enter in all my credit card details. I saw this as a totally different level of trust. My reflection is that trust is deeply personal, and can very from culture to culture, so it is best not to judge.